Topic Paper #21 An Initial Qualitative Discussion on Safety Considerations for LNG Use in Transportation. 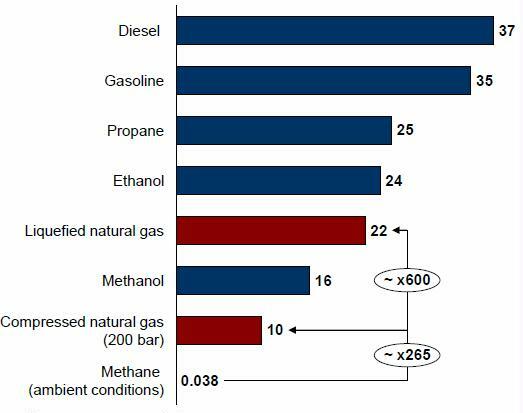 One large objection trucks and railroads have to CNG and LNG are their low energy densities (shown below) compared to diesel fuel, and also natural gas’s volatility and low energy density make handling it difficult. Whatever the technology, gas conditioning incurs high handling costs and has limited flexibility. Unlike oil, for instance, which is fungible, natural gas relies on a heavy infrastructure pressurized or storage caverns or cryogenic carrier). The Energy Information Administration (EIA) Annual Energy Outlook (AEO) 2010 estimates natural gas resources at 2,575 trillion cubic feet (tcf) with technically recoverable shale gas resources estimated at 368 tcf and annual production rates of approximately 23 tcf. In the AEO2011 outlook, technically recoverable shale reserves increased to 827 tcf. Shale gas and coalbed methane are forecast to account for 57% of U.S. production by 2030. My note: But this is awfully optimistic as Mason Inman showed in Nature and many others have written about. To boldly move towards a natural gas CNG or LNG fleet when this energy resource may decline even more precipitously than oil would be reckless without building more LNG import facilities that will not be affected by sea-level rise. LNG has been used as a transportation fuel since the 1970’s, although in limited volumes for heavy-duty and fleet applications. In 2001, LNG vehicles accounted for only about 7.6 million gallons (about 2%) of the 366 million gallons of alternative fuels consumed in the United States and a fraction of the 30 billion gallons of diesel consumed by freight trucks annually. There are an estimated 7,000 vehicles with LNG fuel tanks operating in the U.S. today; public transit systems operate hundreds of LNG-fueled buses in Dallas, Phoenix, El Paso, Austin, Los Angeles and Orange County. LNG is also established and growing quickly as a transport fuel for short-haul, heavy-duty fleets. For example in June 2010, the Ports of Los Angeles and Long Beach announced the replacement of 800+ diesel drayage trucks with LNG trucks and, in April 2011, ordered 200 LNG vehicles for water services operations. Mining and refuse collection vehicles also represent major existing applications. LNG has also been used to fuel the LNG vessels engaged in international trade and in 20 other marine vessel applications (as of 2010) like ferries, offshore supply vessels and patrol vessels, outside of the U.S., predominantly in Norway. A future increase use of LNG as marine fuel on inland waterways and near-sea shipping is expected. Large vehicles with frame rail mounted tanks can hold up to 300 gallons of LNG. Most natural gas engines can use either LNG or CNG as a fuel source. LNG is typically used in medium/heavy duty applications where the higher fuel density compared to CNG maximizes driving range while minimizing weight and space required for fuel storage. Imports of LNG or local LNG production for transportation fuel are currently performed throughout the U.S. These producers then contract the transportation of LNG fuel to approximately 65 refueling sites across the country to fleets with purpose-built cryogenic trailers. There are an estimated 170 LNG transportation trailer trucks operating in North America and each truck has the capacity to deliver 9,000-13,000 gallons per load, limited by maximum payload. Currently LNG vehicle use is heavily concentrated in California with 71% of US refueling facilities located in the state. It is estimated that at least 200,000 gallons/day of LNG were trucked into California in 2006. National consumption in transportation has continued to increase with the addition of new LNG production sites such as Clean Energy’s plant in Boron, CA which produces 160,000 gallons of LNG per day. Refueling sites are almost all owned and used by transit fleet vehicles. High vehicle costs due to limited volumes of factory finished vehicles and engines, and low volume of demand for natural gas systems. Limited refueling infrastructure currently in-place. A broader range of engine options is required to meet the wide variety of HD vehicle applications. Natural gas retail refueling infrastructure is in an early stage development and will require major expansion and investment to meet the growing demands for natural gas transportation fuel as the industry commercializes. As of March 2012, there were 988 CNG stations compared to ~160,000 retail gasoline stations, and 47 LNG stations serving HD vehicles. The transition to a fully scaled and mature retail infrastructure system to serve the Light and heavy-duty markets will take time and investment. The technology opportunities for infrastructure include: Improvements in modular CNG dispensing systems to improve the cost effectiveness of retail station upgrades. 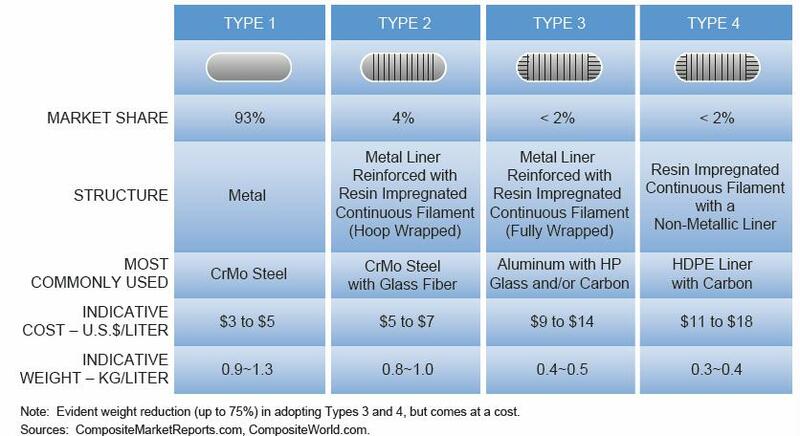 Cost and performance of CNG compressor systems. Small-scale LNG technology to support localized HD fleets. There are approximately 500 trucks distributing LNG through specific cryogenic tank trailers. Major LNG tanker firms move the product for two markets: peak shaving facilities in the Northeast and the Heavy-duty transportation market in the Southwest. The economics of LNG distribution have a disadvantage over diesel as typical trailers carry 10,000 gallons of LNG or 6,700 diesel equivalent gallons (DEG) compared to 9,000 gallons of diesel. CNG stations are designed to accept incoming fuel from the distribution system, and then compress that incoming gas to the dispensing pressures of approximately 3,600 pounds per square inch (psi). On-site equipment typically includes dryers to remove moisture from the natural gas, multistage compressors to boost natural gas from distribution/transmission pressures to 4,500 to 5,000 psi, high-pressure storage cylinders to act as pressure buffers for pressure filling vehicles, and dispensers to transfer fuel to vehicles. CNG is pressure transferred from storage to the lower pressure of the vehicle, which is typically 3,600 psi at full fill. Incremental land requirements for CNG stations are minimal when compared to gasoline stations since large volumes of fuel are not required to be stored due to the interconnection with the distribution system. There are less than 10,000 truck stops across the nation providing diesel fuel to the heavy-duty truck fleet. These truck stops sell approximately 32 billion gallons of diesel for on-road heavy-duty trucks. The majority of the engines in the medium and heavy categories tend to be certified using the Diesel engine provisions as they are based on diesel engine platforms. One of the key distinguishing features of the alternative pathways is the useful life. For gasoline Otto engines, this is 10 years or 110,000 miles, whichever occurs first, across all categories. For Diesel engines, the useful life for medium heavy-duty diesel engines is 10 years or 185,000 miles, whichever occurs first, and for heavy heavy-duty diesel engines, useful life rises to 10 years, 435,000 miles, or 22,000 hours, whichever occurs first. For Class 8b combination trucks running high annual mileage, U.C. Davis estimates fuel can be up to 40% of the total cost. In an industry with small operating margins, managing the cost of fuel is a key strategic activity, and hence the drive to improve fuel economy or minimize the purchased cost of fuel. Some of the critical technical pathways for natural gas systems in HD vehicles include: Combustion strategy, Torque and power, Fuel economy and fuel strategies Complexity of changes to base diesel engine, After treatment, Fuel storage (CNG and LNG), and System incremental cost. Compared to the diesel baseline engine, the natural gas variants typically have a reduced thermal efficiency due to throttling and low compression ratio resulting in approximately 7 to 10% lower fuel economy in current applications. Adapting diesel engines to operate with natural gas using spark ignition technologies similar to gasoline engines has been the prevalent approach to date. The adaptation involves lowering compression ratio, modifying cylinder heads to incorporate spark plugs, and the addition of a throttle to modulate airflow, often accompanied by a reduced size of turbocharger because of the lower air demands relative to diesel. 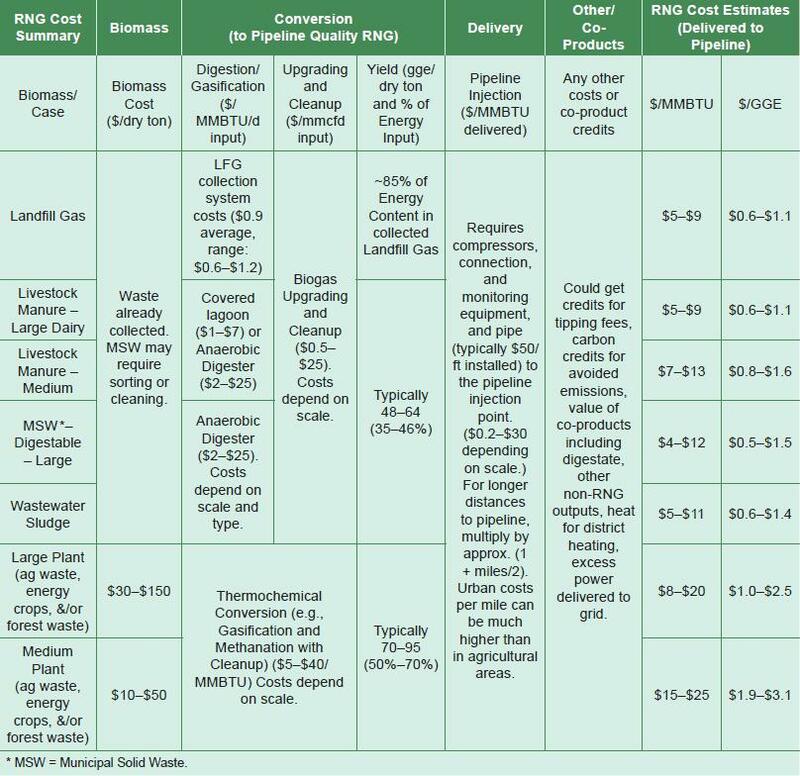 Typical Operating Cost Breakdown of Class 8b Truck. 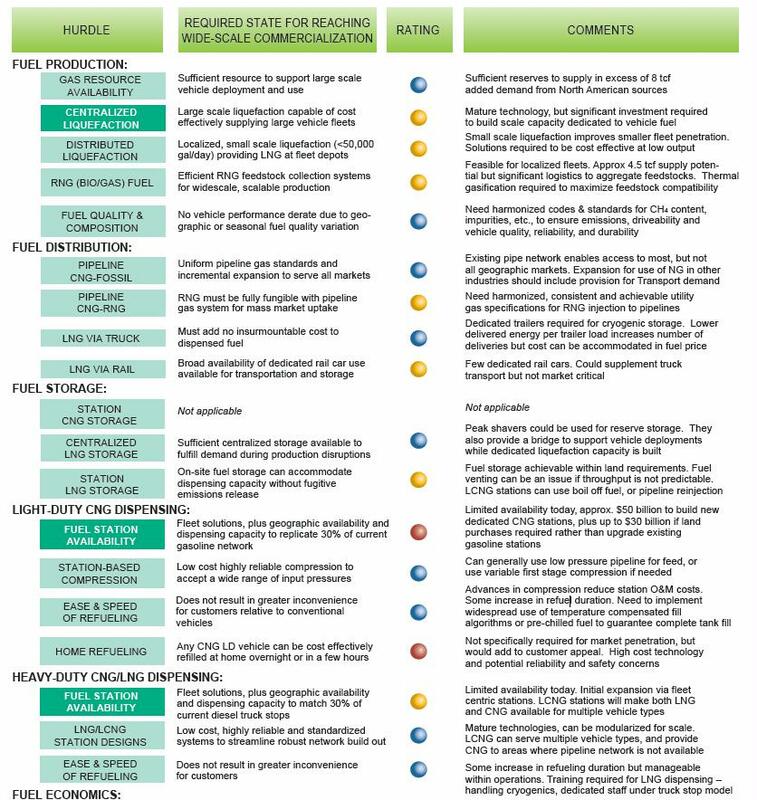 American Trucking Association, “Is Natural Gas a Viable Alternative to Diesel for the Trucking Industry? Because of the low energy density of natural gas compared to diesel, CNG has largely been restricted to vehicle applications that either require only modest operating range or that can accommodate significant numbers of cylinders such as transit buses and refuse collection. This entry was posted in Natural Gas Vehicles, Trucks. Bookmark the permalink.